The latest issue of our residents’ publication Basingstoke & Deane Today is being distributed to residents this month, March 2019. 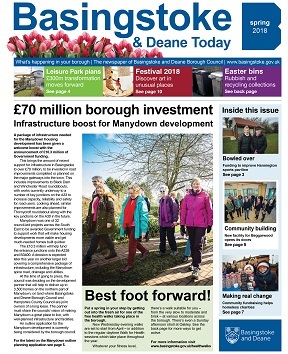 This spring edition gives an update on some of the things happening in the borough and information on services the council provides. 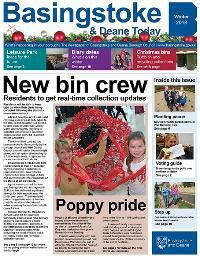 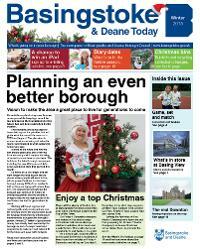 The latest issue of our residents’ publication Basingstoke & Deane Today is being distributed to residents this month, November 2018. 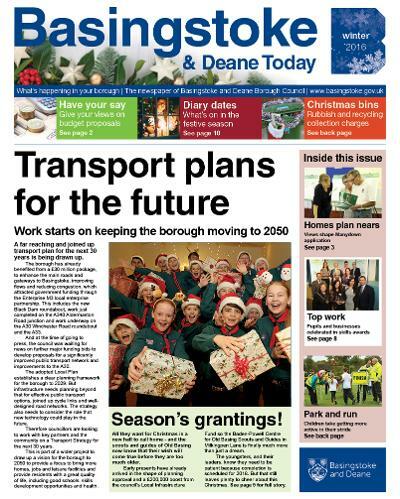 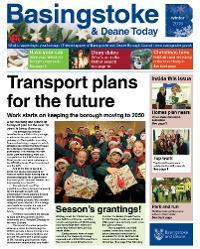 This winter edition gives an update on some of the things happening in the borough and information on services the council provides. 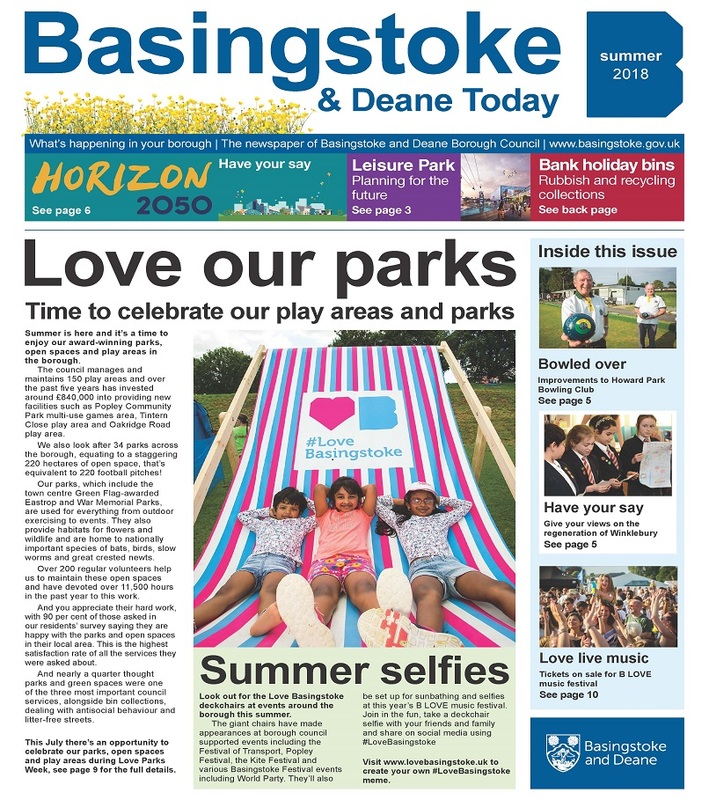 The latest issue of our residents’ publication Basingstoke & Deane Today is being distributed to residents this month (June 2018). 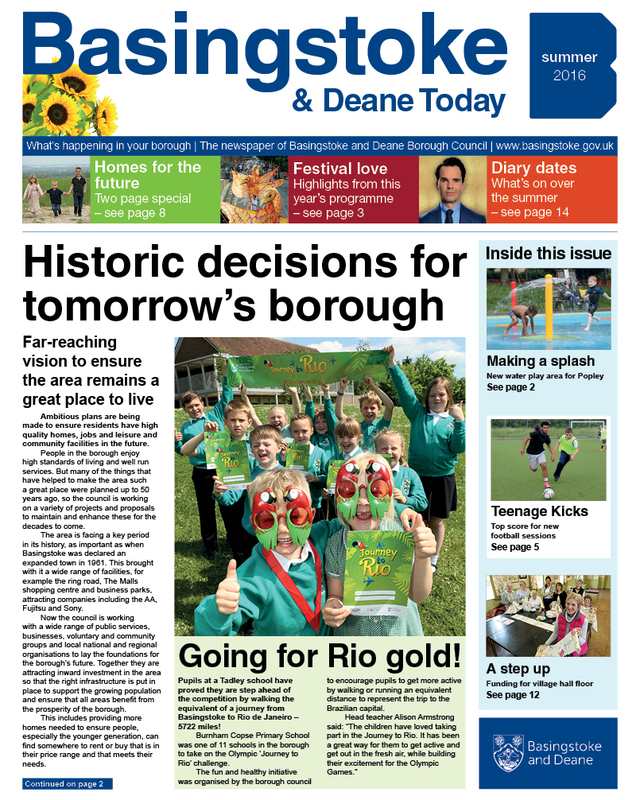 This summer edition gives an update on some of the things happening in the borough and information on services the council provides. 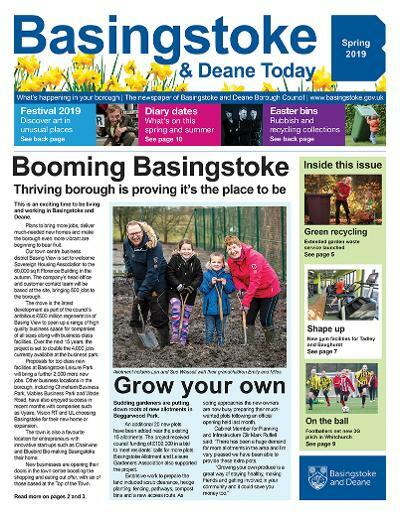 The latest issue of our residents’ publication Basingstoke & Deane Today is being distributed to residents this month (March 2018). 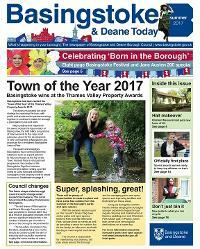 The latest issue of our residents’ publication Basingstoke & Deane Today is being distributed to residents this month (November 2017). Give your views on balancing the budget. 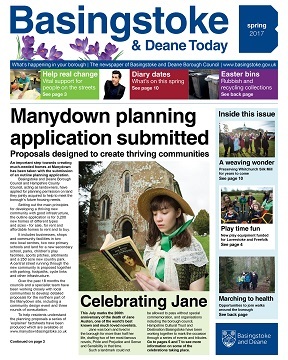 Major funding won to continue Basing View revamp. 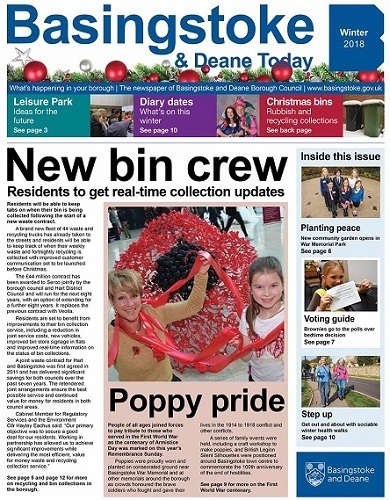 A recycling guide from a Hatch Warren brownie group. 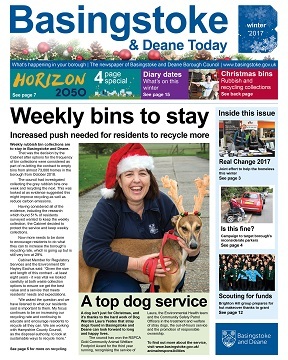 A cut out and keep recycling reminder. 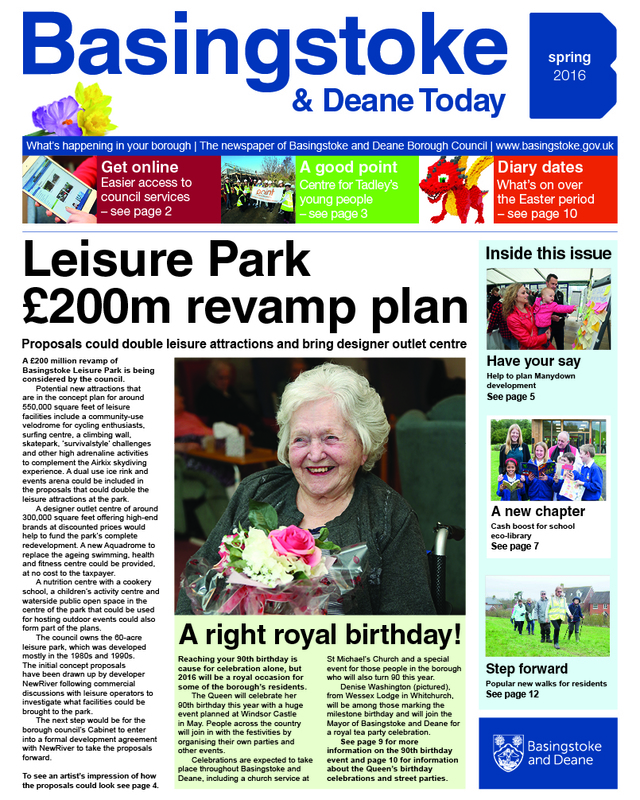 Splashing out on improvements at the Aquadrome. 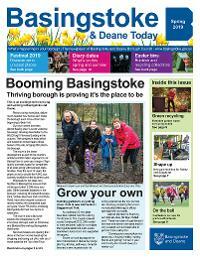 What’s on in Basingstoke this winter. The latest issue of our residents’ publication Basingstoke & Deane Today is being distributed to residents this month (June 2017). The latest issue of our residents’ publication Basingstoke & Deane Today is being distributed to residents this month (March 2017). This issue gives an update on some of the things happening in the borough and information on services the council provides. 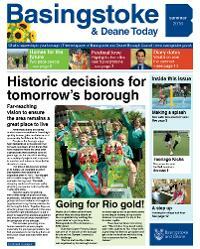 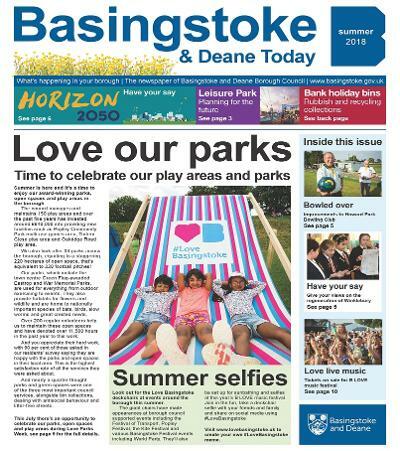 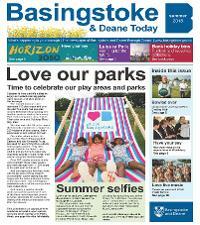 The latest issue of our residents’ publication Basingstoke & Deane Today is being distributed to residents this month (July). The latest issue of our residents’ publication Basingstoke & Deane Today was distributed to residents in March 2016. This issue gives an update on some of the things that are going on in the borough and information on the services the council provides. 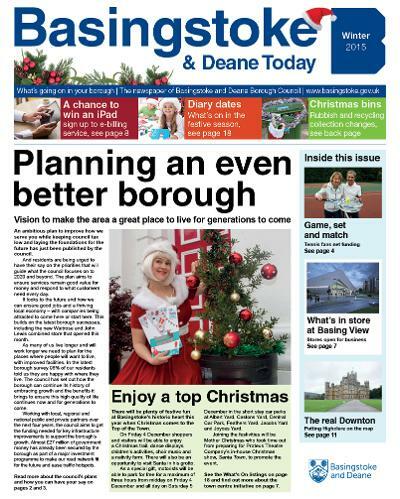 The latest issue of our residents’ publication Basingstoke & Deane Today is being distributed to residents in November 2015.